We are one of the leading manufacturers and suppliers, engaged in offering the wide range of Phase Synchronous Motors as per client’s requirements. 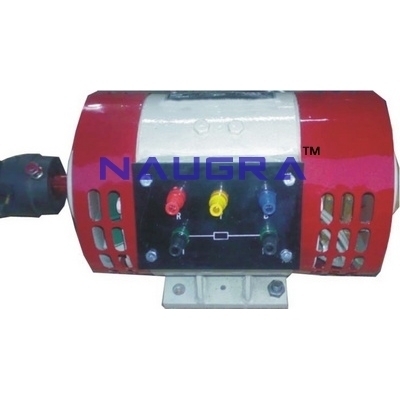 These motors are manufactured using dynaflux by various components like base stand, cooling fan, body frame, rotating field pole, field coil, shaft, slipring, armature winding, and bearing and connection box. Our extensive ranges of these motors are reliable, sturdy, durable, and highly efficient in features. We offer these motors in various sizes, shapes, dimensions, and capacities.